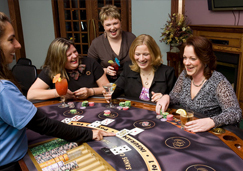 The most used blackjack basic strategy is hidden in the mathematical part of the game. The strategies underwent testing with the help of computers in various simulators, they also had a test run in the casinos worldwide to check their capability. When a well mastered simple strategy is properly used it can greatly decrease the house edge and increase the chances of a win. 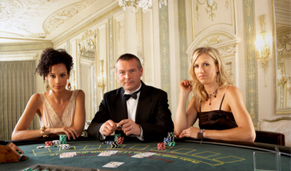 With a couple minor tweaks to the strategy with the rules of the casino in mind can lead to great success. Everyone should first keep in mind learning a successful blackjack basic strategy before taking advantage of the house. Quite a few strategy charts exist to aid you on the path to the riches. 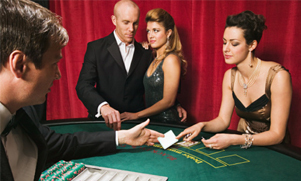 They consist of decision making tips based on the hand dealt and the visible card of the dealer. Do not forget also about the type of blackjack games you choose to play. Below are a couple guides on how to behave with certain hands in various situations. Hard Hands are hands of cards which do not include an Ace or where the Ace cannot be counted as 11 without busting. If you received a hand of 8 or less then you must request another card in such a situation. If you're in possession of 9 points then we offer you to hit, and double if the dealer has 3, 4, 5 or 6. If you receive a hand of 10 points- hit except the case of the dealer holding from 2 to 9 points when you should double. When you have 11 also hit if the dealer is showing an ace and double if the dealers shows from 2 to 10. When you receive 12- hit if the dealer is showing 2 or 3, stand if he shows 4, 5 or 6, in other cases hit. When you get a hand of 13 to 16 points - stand if the dealer shows from 2 to 6 in other cases hit. If you received from 17 to 21 we offer you to always stand. For cards of 2 or 3 when accompanied by an Ace, double if the dealer shows 5 or 6, hit in other situations. For cards of 4 and 5 with an Ace you should double if the dealer shows 4, 5, 6 or hit in other situations. For an Ace with a 6 you should double if the dealer shows from 3 to 6, or hit in other situations. For an Ace with a 7 - stand if the dealer shows 2, 7, or 8, double if the dealer shows from 3 to 6 or hit in other situations. With an Ace with an 8 or with a 9 you should always stand.